According to a study of the working life of an average Brit, Ms Smith is likely to work at 6 different companies, be late for work 141 times, work 9,024 hours of overtime and make 29,328 cups of tea! Statistically, Ms Smith is also likely to have at least 2 bad bosses and 705 minor disagreements. Even if we are fortunate to have kind colleagues now, the likelihood is that at some point during our career, we will have to deal with mean managers or tricky team mates. Work isn’t always easy, and neither are the people who we work with. Yet God calls us to love our colleagues. But why should we love our colleagues – the loveable and the unlovable? Because we should be imitators of the God we follow. If we are Christians, we know that the God we serve is one hundred percent loving. His love is seen most clearly at the cross, where Jesus hung, bearing the burden of the sins of the world so that you and I could have eternal life. And, I’m sure we also all have testimonies of how God has poured out his love in our day-to-day lives. 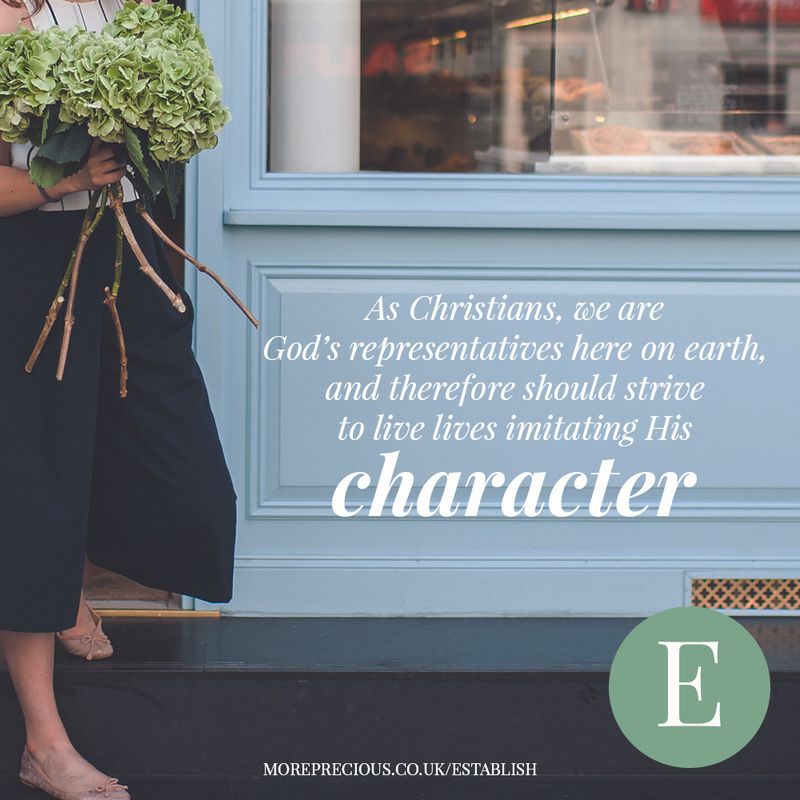 As Christians, we are God’s representatives here on earth and, with God’s help, should strive to live lives imitating His character. This includes demonstrating His abounding love in our daily lives at work. “HE DOES NOT TREAT US AS OUR SINS DESERVE OR REPAY US ACCORDING TO OUR INIQUITIES. FOR AS HIGH AS THE HEAVENS ARE ABOVE THE EARTH, SO GREAT IS HIS LOVE FOR THOSE WHO FEAR HIM; AS FAR AS THE EAST IS FROM THE WEST, SO FAR HAS HE REMOVED OUR TRANSGRESSIONS FROM US” (PSALM 103:10-12). Although we so often ignore God’s intentions for our lives, He continues to love us. When we put our trust in God, He removes our sin from us. This is not a lingering threat that God could whip out when we sin again; instead, he has removed our sin, and the punishment that we deserved, so far away – “as high as the heavens are above the earth” or “as far as the east is from the west”. It is completely and utterly dealt with and forgiven in Jesus’ death and resurrection. Whilst we do continue to sin each day, our status before God is always ‘forgiven’. How hypocritical then, when I harbour a grudge or feel unforgiving towards a colleague who has wronged me or irritated me? It is not easy to forgive when we have been wronged, but if we truly believe that we have been forgiven our sin and understand the cost of Jesus on the cross, we too should seek to imitate that awesome love in all situations. Even with difficult bosses and colleagues. I’d like to caveat that there is a difference between loving our colleagues and letting them walk over you. If you feel bullied at work, this should not be tolerated; our God is also a God of justice. Workplace bullying or discrimination should be reported and dealt with lovingly but firmly. I’d encourage us all to spend some time praying and reflecting on how we can be loving our colleagues in our particular work situation. If you have a particularly difficult colleague, ask God for strength to love them. Whether you have kind colleagues or not so kind, ask God to grow a deeper understanding of his love demonstrated so amazingly for us even when we were unlovable. We can ask that knowing this would flow out into the way we live and that our work mates would notice something distinctive about our interactions with them. So what might this look like for you? Jessie arrived in London 2 years ago having spent a year in Bradford working alongside the Christian Union with UCCF, and before that, studying Politics in Durham. She now works in HR in the City. Currently, you may find Jessie running around London as she’s in training for a half marathon.